It is estimated that more than 40 million Americans have trouble falling and staying asleep each night. That’s a huge part of our population! But perhaps that number is not so surprising once one considers all that can affect our sleep and keep us from a good night’s rest: stress, technology, a too-old mattress. The list goes on and on. Which is why we put together this list of the 20 best sleep products to improve your health. We consulted a number of sleep experts and sleep foundations to compile our list, and each item listed below can be used in some way to combat one or more things keeping us from the deep sleep that is so vital to a healthy life. A Bluetooth sensor, smartphone, and some calming panpipe tunes combine to create this unique sleep product that is sure to improve your heatlh and help you fall asleep at night. A wearable sensor analyzes your breathing patterns, while your phone sends out the perfect melodies to slow down brain activity, lengthen your exhalations, and cause you to feel tired. While most alarm clocks on the market, including your mobile phone, have just one wake-up option — and that’s abrupt — the Aura Connected Alarm Clock can be programmed to wake you up either abruptly or gradually. Better yet, the Aura can also be synched to Spotify or the radio so that you’re awakened with your favorite music. Many sleep experts suggest taking a warm bath before bed to initiate the subtle drop in temperature that leads to falling asleep. Complement that process with another product that will bring on feelings of relaxation: Aveeno’s Active Naturals Stress Relief Foaming Bath. This bubble bath comes infused with lavender, ylang ylang, and chamomile, all ingredients that naturally bring about sleep. The Bed Fan does exactly what its name implies, and keeps you nice and cool while you sleep. A handheld control allows you to set the fan to your preferred temperature and fan speed, while the fan’s unique shape means you can use it to blow cool air under the covers or above. GE is ushering in the next generation of smart home products with their C by GE light bulbs. Sold in packs of two, the bulbs come in both daytime and nighttime varieties, each of which emits a different spectrum of light. While the daytime bulbs are designed to help you stay focused and awake, the nighttime bulbs emit a very minimal amount of blue light. Even more impressive is the fact that the bulbs can be turned on via the Bluetooth in your smart phone, then adjusted to your preferred brightness. There is perhaps nothing more crucial for a good night’s sleep than the mattress on which you’re sleeping, and so we’ve included Casper mattresses on our list of the best sleep products. Besides being fully compressible and therefore easy to move from place to place, Casper is available in all of the usual mattress sizes, comes with a year-long warranty, is delivered right to your door, and includes a 100-night trial period just to make sure you really like it. But best of all is the fact that Casper is the happy medium between memory foam and latex foam, thereby allowing for the very best in anatomic support. This clever little LED lightbulb is perfect for the person who has trouble putting that book down before bed. Drift works by slowly dimming its light over the course of 37 minutes, the approximate amount of time it takes for the sun to set. The dimming light then encourages your brain to produce natural melatonin as it prepares for a good night’s rest. When the brain senses light — even as little light as the small red numbers on your digital alarm clock — it signals the brain to stop the production of melatonin, thereby disturbing your sleep. Thus, your sleep and health can be improved by blocking out all light with the Eclipse Curtains. Not only do these surprisingly affordable curtains block more than 90% of incoming light, they are also lined with a special foam to muffle noise. With Eight, you’ll never be too hot or too cold to sleep, ever. This unique mattress cover fits over any size mattress, then pairs with a smartphone app to heat or cool your bed as desired. It can even create different zones for those couples who prefer to sleep at different temperatures. Best of all, Eight learns over time to adapt to your preferred temp settings. Technology is one of the main contributors to late nights and a lack of rest, a fact which makes f.lux especially appealing. Available for both Macs and PCs, f.lux is a blue-light adjusting software that automatically changes the light emitted from your computer display, depending upon the time of day. Come nighttime, for example, f.lux will decrease the blue light on your screen. This simple change makes looking at a computer screen easier on the eyes, and begins to prepare the brain for sleep. Not only does the blue light from your television, eReader, or phone mess with your nighttime hormone production, and therefore your quality of sleep, it also leads to increased chances for obesity, heart disease, and cancer. But since electronics are a necessity for some, JINS, a Japanese eyewear company, has created a pair of blue-light blocking glasses. The glasses come in a variety of frame types, and will filter out 60% of blue light emitted from an electronic device. If worn approximately two hours before bedtime, the Night Screen glasses are sure to improve your sleep without forcing you to give up evening television. If curtains aren’t enough to block all the light in the room, or if you’re attempting to sleep somewhere without your light-blocking curtains, such as an airplane, then a Magellan’s Good Night Sleep Mask is a must have. Unlike most sleep masks, which can slip or otherwise be uncomfortable, Magellan Good Night Sleep Masks are especially designed for comfort with features such as dimpled eye pockets. Sometimes all it takes is a little relaxation to fall asleep more quickly, and the Morihata Binchotan Charcoal Eye Mask is specially designed for before-bed relaxation. The mask is infused with organic fibers and ultra-fine charcoal powder, both of which soothe the skin and release tension in the facial muscles. Plus, it blocks the light! Ask anyone how they feel about their blaring alarm clock, and you’re not likely to receive any professions of pure love. That’s why we love the Philips Morning Wake-Up Light. The clock simulates the rising sun, thereby allowing you to wake up more naturally than you do with a traditional alarm. The light can also be used at night, at which time it slowly dims to prompt a natural bed time. Whatever you may need to fall asleep faster, there’s a Sleep Envie pillow for you. Sleep Envie pillows are purposely designed for a better, more comfortable night’s sleep with such features as a gel memory foam layer and unique cooling technology (Skylar Pillow), lavender infusions for calmness (Violet Pillow), and bamboo coverings for a breathable and hypoallergenic sleep (Bambi Pillow). The Sleep Shepherd Blue is a headband-type device designed to improve your rest through subtle vibrations and humming noises that work to lull your brain into the deep sleep mode that is most beneficial to health. 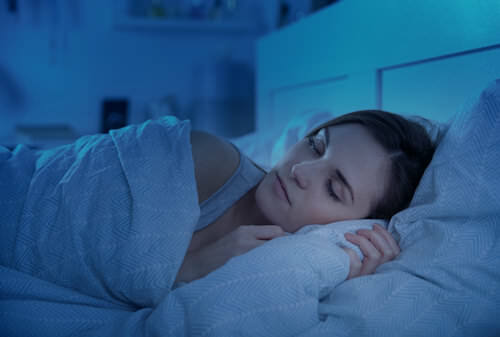 Additionally, the headband, which has been especially helpful for those with sleep disorders but who want to avoid sleep aid medications, tracks your sleep patterns in ways that can actually improve your night’s sleep. There may be nothing worse than trying to fall asleep on a hot night, but thanks to Slumber Cloud, such an issue may be a thing of the past. The company’s patented Outlast fabric technology adapts to the user’s skin temperature to ensure a restful night’s sleep that feels cool and refreshing. Mattress pads, sheets, pillow covers, blankets, and duvets are all available and affordably priced. A Toronto-based tech company seems to have found a cure for snoring. Its product, Smart Nora, is a silent and non-invasive piece of technology which is said to cure people of their snoring in 7-14 days. Nora comes in two pieces, one of which is placed somewhere near the surface of the bed, while the other is inserted into your pillow. When Nora detects snoring, a small pump in the pillow’s piece will inflate and deflate enough to gently move the pillow and encourage silent sleep. Thanks to its unique J shape, this comfortable pillow actually provides the support of three pillows. While the curved part of the pillow reduces strain on the head, neck, and back, the pillow’s long part promotes proper alignment of the spine. Though anyone could benefit from this doctor recommended pillow, it is especially beneficial for those who are pregnant, or who have issues with arthritis, injury, back pain, or sore muscles, among other things. It should come as no surprise that inconsistent noises of varying volumes are often responsible for keeping people up at night. As one sleep expert puts it, “You become hyper vigilant about when the next noise is going to come.” To mask those pesky intermittent noises, try something like the Tranquil Moments Sleep Sound Therapy System. Unlike the common app, this therapeutic sound system produces both white (equal variety of sounds from all frequencies) and brown (more sound from lower frequencies) noise settings.